Birman cat slowly moving through green grass 4K. Predator cat slowly observing his pray moving through grass outside. Cute cat Birman breed. Long hair. 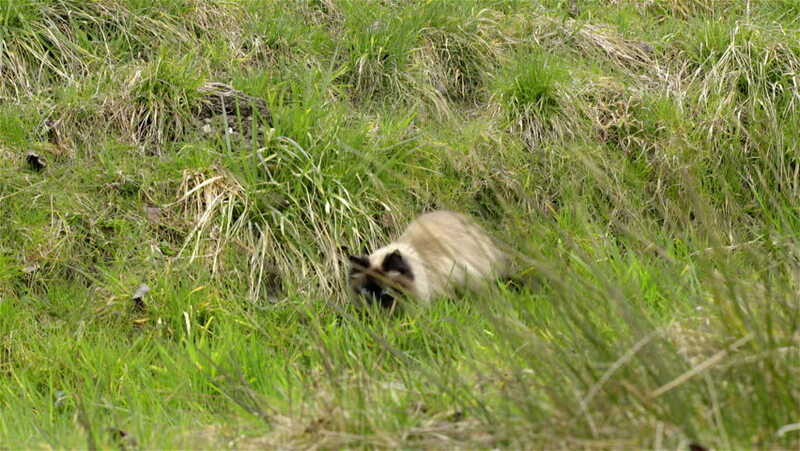 hd00:23Birman cat slowly moving through green grass HD. Predator cat slowly observing his pray moving through grass outside. Cute cat Birman breed. Long hair.